A point of pride in Cambodia. 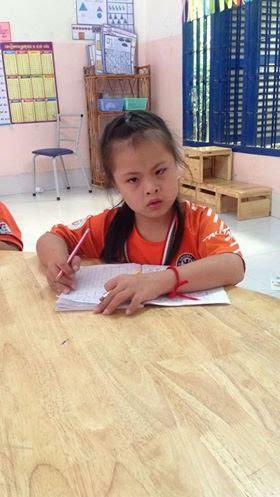 girl with Down Syndrome who goes to the Rabbit School in Phnom Penh. When Lyhuoy joined the Rabbit School in Cambodia, she had extreme difficulties in expressing social skills. She would hit and hurt her fellow classmates and in contrast, sometimes, she would retreat in fear of everyone. Often you would find Lyhuoy playing alone with a ball or other toys and she would never attempt to play with the other kids. She also preferred sitting alone, far from all her other classmates. Lyhuoy also had cognitive development setbacks. She would find it hard to draw a straight line let alone a picture. This came from the fact that she had difficulty in holding a pencil to draw and write. She could also not recognise different colours, letters and numbers that were taught in the classroom. Reading was also a big challenge to her. In 2017, this little girl’s life changed! Within just a year at the Rabbit School, Lyhuoy’s life, her behaviour, socialising skills and intellectual development improved immensely and continues to do so. Socially, she is among the friendliest and happiest in her class. She likes to play both inside and outside of the classroom with as many friends as she can get to play with. Her confidence continues to grow and she is not afraid to let the teacher know what she needs. Lyhouy’s cognitive development, especially in terms of language, continues to improve. She has illustrated the ability in recognising a few different colours, vowels and consonants by excelling at her matching exercises. Additionally, she can hold a pencil and write a few letters on a blank paper properly. She can now also listen and follow instructions well from her teacher especially when the teacher calls her name. Her favourite task is to be asked to do matching exercises on the whiteboard. 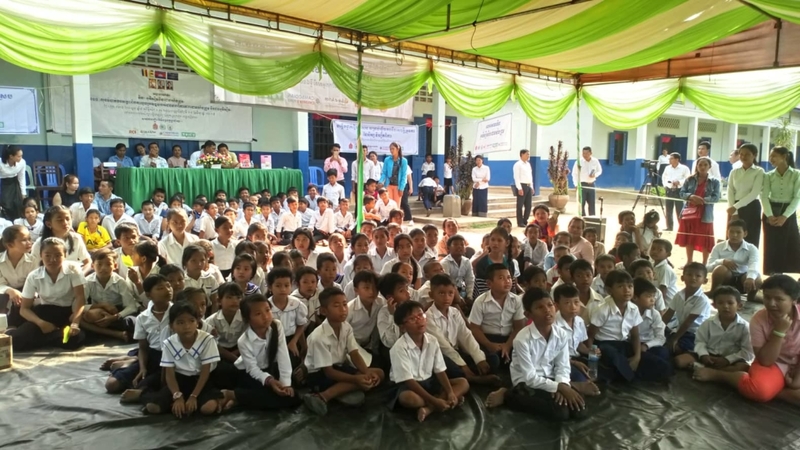 The Rabbit School is one of the very few schools in Cambodia that have been working with children with intellectual conditions for over 20 years. It promotes the rights of these children and provides them with special education. All of their activities are informed by respect for everyone’s dignity and on encouraging the community’s participation. Currently, there are 640 students who are in the education programme. 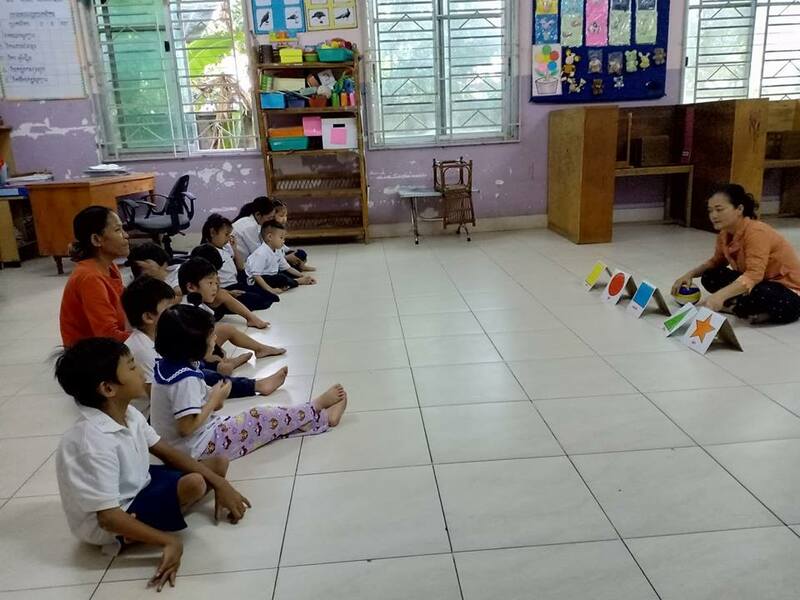 The Rabbit School Educational programme is designed to help develop children with intellectual differences and to work towards their integration into society. Through Voice’s influencing grant, the Rabbit School is able to train parents like those of Lyhuoy, on how to better care for their children with intellectual differences as they get formal education at the school. While Voice does not support children’s projects directly (we target vulnerable youth groups), we do recognise that parents of children with special needs need a supportive infrastructure whereby inclusive education can play a huge role. The story of Lyhouy is a testimony of this. *A special thank you to Lyhouy, her parents and the Rabbit school for this story. At the parents’and her request, Lyhouy’s name has been changed.